This is my entry for brettb45’s Rare Fleet Challenge. Checking out the rarities of all-valuable helmsmen crew, I saw both Hammersmith and “Bootstrap Bill” Turner in the Pirate corner. Thus, I assumed nearly everyone would just use the Pirates after a glut of Spanish entries in my Uncommon Fleet Challenge. I thought about going Pirate but decided against such an easy path. English are my favorite faction and they have Thomas Gunn , so let me NOT use them. I did consider minor factions very briefly, but I didn’t want to do a typical overdone Grand Path/Grand Temple setup just to stay competitive. Well, the French have a ton of great rare ships and crew, and plenty of players on MT hate them, so let’s give the French the love they deserve in this game. Such a fantastic faction to play. It was pretty typical for the largest and smallest ships to be Rare in Pirates CSG, so it comes as no surprise that we see a 5 master and two 1 masters in the fleet. Le Superbe is the big bad gunship, fitting a whopping 5 abilities (Captain, S-Board, SAT, Reroll, +1 against English) into just two cargo spaces from her crew complement. With a base move under S+L, I knew it was imperative to get some extra actions with regularity, hence the SAT with reroll combo feeling almost required. Originally I had Jordan Dumas paired with St. Croix, but then realized that I should have a “free” reroller instead and therefore switching Dumas with Surcouf. I’m not a big fan of S-Board, but in my mind I’m almost getting it for 1 point here (instead of 4) considering the original setup paid the full 3 for reroll. Besides, Dumas and the trio of Captain/S-Boarders are the only Rare French named captains. If for some reason there was a Pirate Letter of Marque, I would have used that due to the nature of this challenge, but in this case the English one makes a lot of sense too – Thomas Gunn is somewhat likely to appear, and it fits perfectly with the classic Anglo-French bias presented by history and St. Croix’s secondary ability. The Superbe does have 2 cargo spaces left in case she wants to raid an enemy ship, or pick up predetermined (already seen) “safe” coins from an island I’ve previously explored. Here is a cropped “action shot” of Le Superbe sailing the Sea of Karkuda in Command the Oceans during 2017. Sure the Bon Marin is overplayed, but I felt it was justified knowing the challenge and members involved. One of the best gold runners in the game, completely awesome even with no crew. 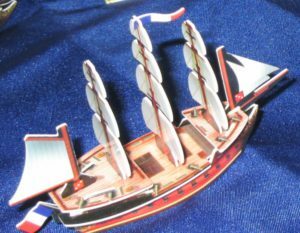 Le Pique was the final ship “added” (see below), to make the fleet even more competitive and add a second great gold runner. Her and the Bon Marin will simply get as much gold as possible. Eliminate all but one crew from this ship. If there is a Tribal Chieftain on this ship, you must eliminate only one crew from this ship. Originally I had La Delacroix as the 5 master, but was able to cut a point and increase cargo by switching to the Superbe. I love the Delacroix and switching back wouldn’t hurt the fleet too much. 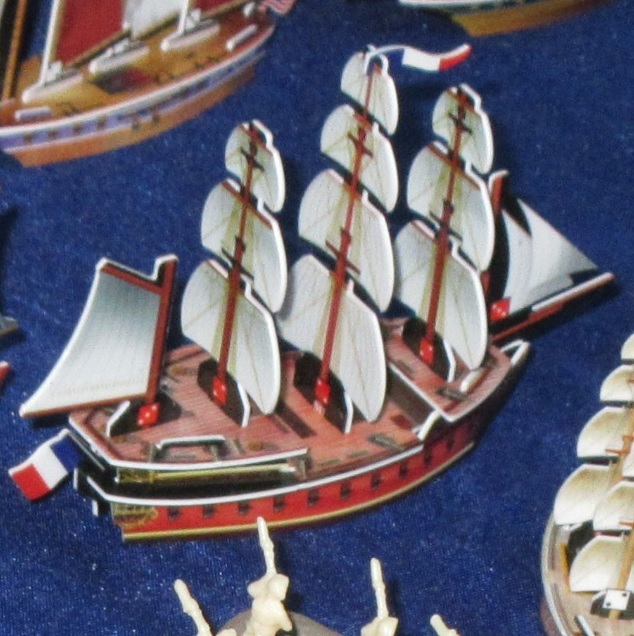 I also had the Jeux instead of the Pique, but realized I probably wouldn’t win if the fleet wasn’t optimized for competitiveness. Oh well I guess. I wanted to use the Ébat from Return to Savage Shores at one point, but that would cost me both the Bon Marin and Pique/Jeux (though I could have used Ebat with Le Coeur du Lion , I am slightly more sick of the Coeur than the Bon Marin haha). Basically just a more expensive version of the Jeux, which I couldn’t afford in this case. Thanks for checking this out! Comment and vote!